When you are doing a schematic design by hand, it’s pretty and gestural. And a bit shallow. You might throw some dimensions on it, but they are after-thoughts. They might be ‘driving’ the design, but what you’re doing is sketching. You aren’t going to slow down to measure accurately. And you shouldn’t. Dimensional precision in a fast hand sketch can ruin the moment. Not so with computers. Not so with BIM. With BIM, you want to be able to add every bit of information that you know as soon as possible, as this will help you make better decisions (BIG caveat here: knowing what to add or not add is just as important as being able to add everything, but we’ll talk about that soon enough). 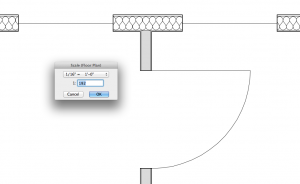 When doing a schematic within ArchiCAD, you should use all the tools you have at hand. That means everything from Morphs and Zones to Labels and Dimensions. But just because you know and include the answer doesn’t mean it’s appropriate to share. Or just because you have added the information doesn’t mean it’s pretty enough to show. 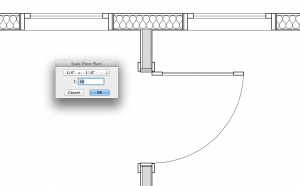 You should detail the model, making intelligent assumptions about wall construction, windows, doors, etc. You should dimension everything from day one. 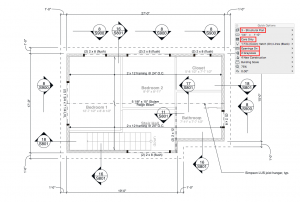 Essentially you should have a schematic design that has drawings that look eerily like Construction Documents. But you need to understand that your client isn’t ready to see drawings with that much information. What you need to see to design and what you need to show to move the project forward are not the same. In this image, both sides of the drawing describe the same exact data. Both are showing the same floor plan. 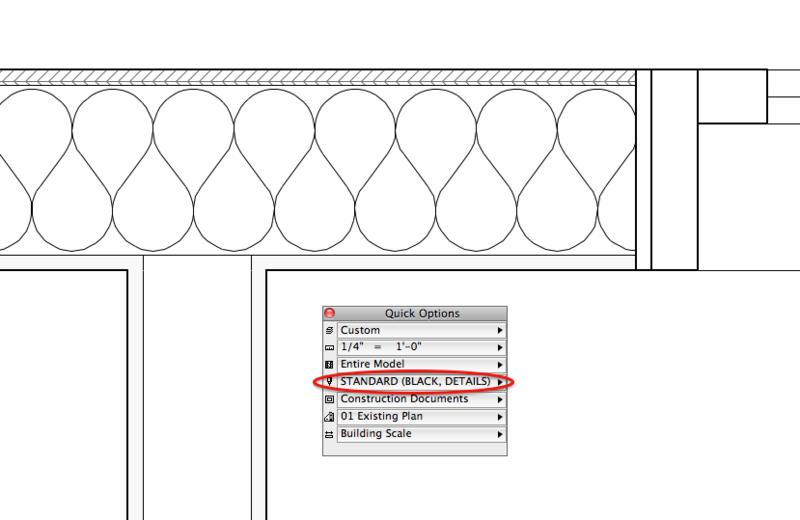 Both are from the same ArchiCAD file. I’ve just hidden layers, changed the Model View Options, and switched Pen Sets. Let’s breakdown the image on the right and look at what’s going on. Layers: This is the simplest solution. 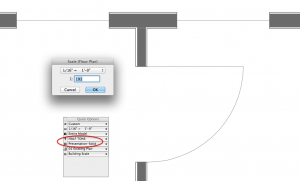 By using intelligent Layer Combinations, you can turn off and hide a lot of information. Dimension everything, but turn off the dimension layer for presentations. Model everything you know, but show as few layers as possible. If the discussion hasn’t reached floor finishes, don’t show floor finishes, even if you’ve modeled them to help you understand the project. However, even if you turn off all the layers you can still end up with a lot (too much) detail. Layers can help mediate this difference, to a point. Scale: Scale is another obvious route to explore. Window and Door Objects can be scale sensitive. In the parameters of each element you can set the detail to always be detailed, simple, or even off. Or you can set the scale at which the element will switch from one detail level to another. This means if all you do is switch your layers off and then change the scale you can greatly simplify a drawing. Windows and doors become single lines. This may be all that you need to do. But as you see in the image above, the walls are still fairly complex. Which might not be a problem, especially if you are printing out at a small scale. But you can still print the drawing at a larger scale than the view is set to. And that might mean you want to delete even more detail. OR your walls might be filled with lots of placeholder information that you need for design, but not for presentations just yet. 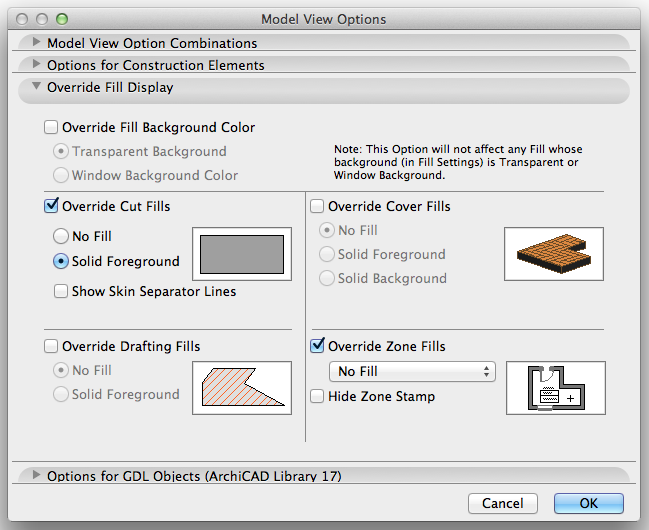 Model View Options (MVO): MVO deserve countless posts unto themselves (as do all the other topics in this post), so for now I want to just talk primarily about Override Cut Fills. 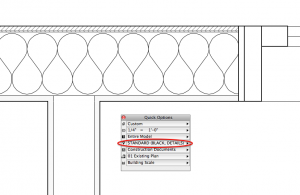 With this option, you can turn all your beautifully and carefully created composites into simplified pochéd walls. This is great, but as you can see from the image below, it doesn’t handle everything (my walls are simplifying but not completely because some fills are going to white and others to gray or black). Again if you print at the right scale, you might not see the white fills as they will be too small and get covered by the thick width of the wall contour lines. This means MVO can complete your presentation needs. 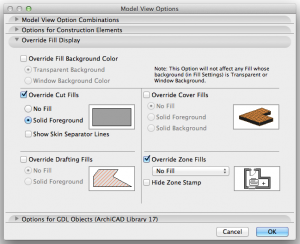 Model View Options to override cut fills. MVO changes only do so much. It’s also worth mentioning that there are universal MVO for GDL Objects that allow you to do things like turn off knobs, handles, and faucets. 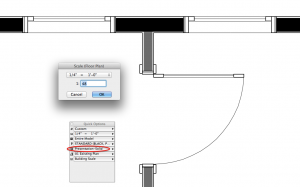 This is great for dumbing down 3D views. 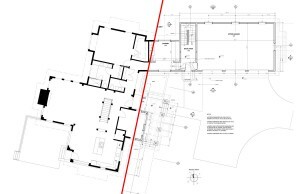 Also if you are showing a site plan or some other VERY simple plan you can use MVO to show doors and/or windows as empty openings only. Or hidden completely. MVO scale and a better penset. Pen Sets: I love Pen Sets. 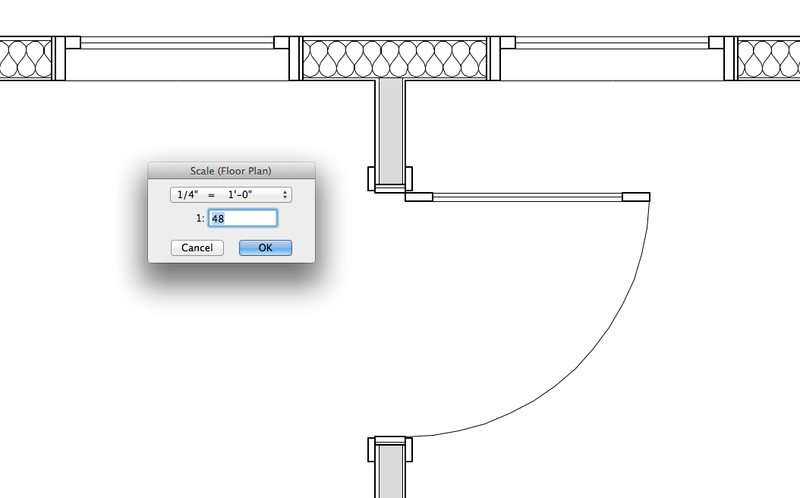 I think Pen Sets are one of the most powerful and under appreciated Attributes available in ArchiCAD. Pen Sets have so much control over the graphic qualities of your drawings. The potential short comings of the Model View Options solution can be mostly resolved with a better Pen Set. 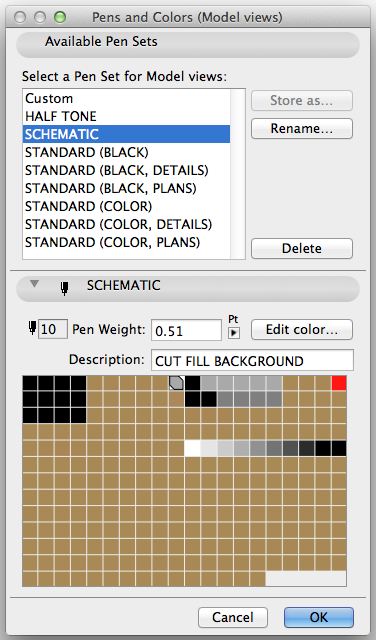 In the image below, I’ve set the Pen Set to my Halftone Pen Set, making all the lines and fills the same color gray. The plan is now quite simplified and much nicer. But we can do better. We can go even farther. The images below dumb down this same plan using only a different Pen Set and changing the scale. Here’s an image of my Schematic Pen Set. In these images I am using what I call my Schematic Pen Set. It takes all my pens used for fills and makes them the same color (gray). It also thickens up and unifies all the important pens for the outlines of elements. What results is a perfect pochéd plan that can be turned on with one simple change of the Pen Set. What is so amazing about this is that it is a global change that can be toggled on and off throughout the life of the project. Whether you need to show a simplified plan during SD, DD, or CD, this is doable with the click of the mouse. Or perhaps just as importantly, when the call comes in that your project will be in a magazine, simplified magazine-ready plans can be exported immediately. IMMEDIATELY. 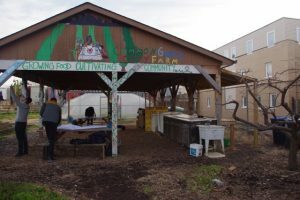 Now of course I’ve reached the end of this post and shown you that a plan (or section) can be easily dumbed down, but there are a few pieces missing. Like how do you set up your Pen Sets to handle this change? I’ll give you some clues and save the deeper answer for another post. All my fills have the same pen number for their backgrounds (not Pen 91). All my fills have one of three pens for their foreground color. Like I said, Pen Sets are powerful. Here’s a close up of that same plan area, zoomed in with a different Pen Set. As with everything, this is just the beginning. For instance, you can use Renovation Override Styles to achieve many of the same results, but the magic of Renovation Filters is for yet another post. 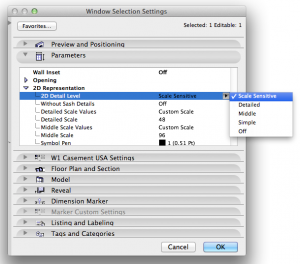 Don’t forget about renovation filter overrides as another option. 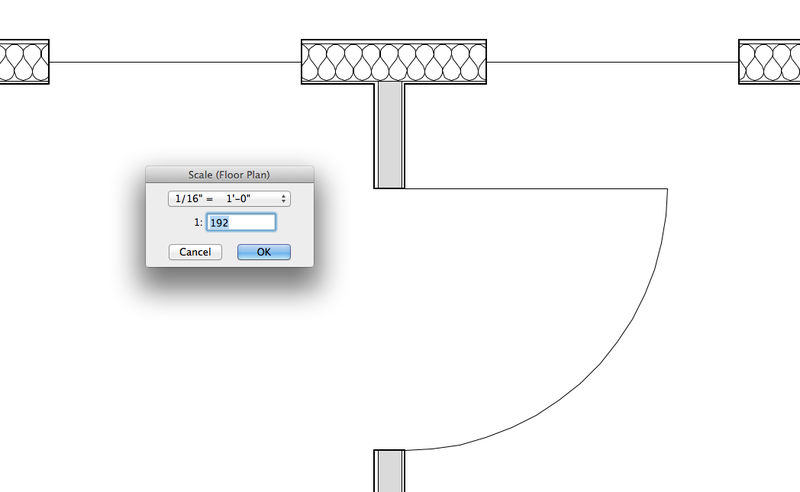 Also a 3D document of the floor plan with shadows could be another option for sketch plan presentation. Jason, both those solutions are worth checking out. However renovation filters might not offer as much nuance as pen sets and MVOs provide. I need to investigate that further. 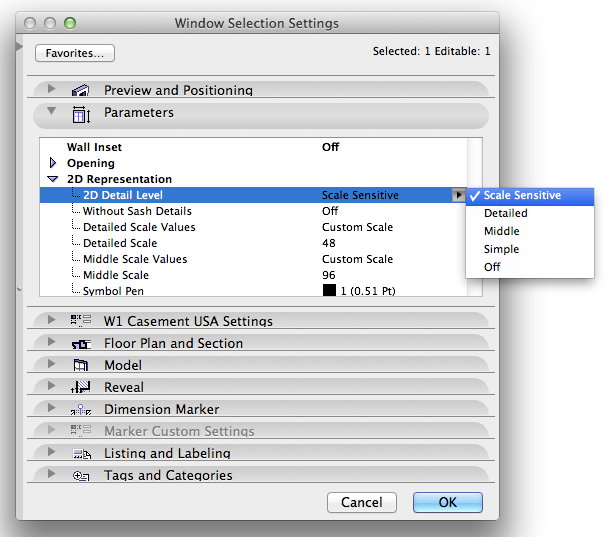 But yeah a “schematic” renovation filter that overrides everything might be nice. Unless you’re using the overrides for different things elsewhere that don’t allow for nice unification. I don’t know. But definitely renovation filters would be great for making all white models or other mono-chromatic 3D views.